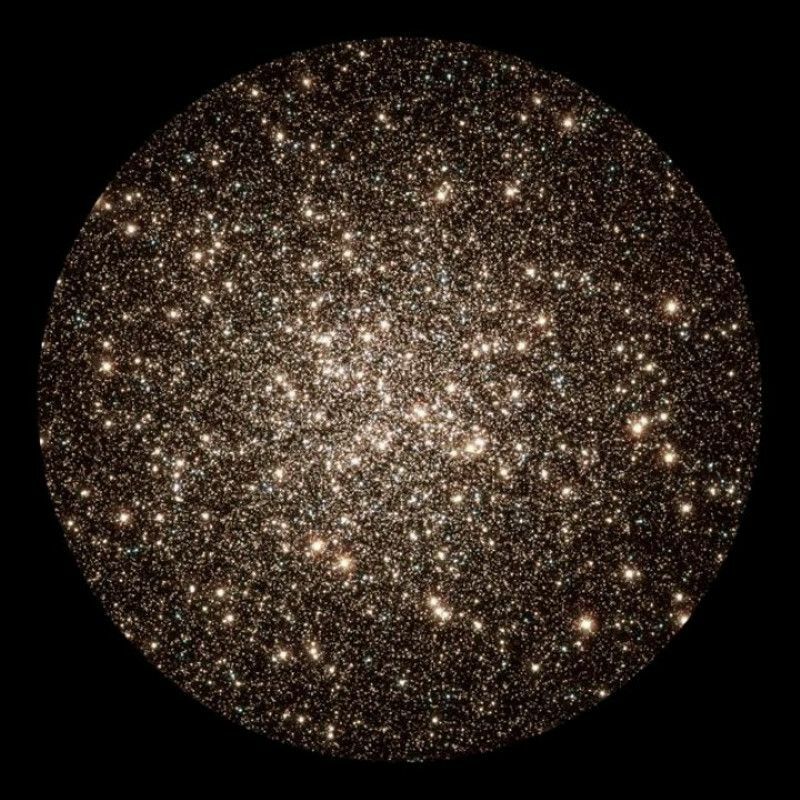 Home » What Will the Universe Look Like in One Trillion Years? A trillion years from now the universe will be a much simpler place for far-future astronomers to ponder. One trillion years? Yes, when the universe is 100 times its presents age the only stars left will be the ones that are the longest burning: red dwarfs.New star formation will have died out eons earlier, so there will be no iridescent nebulae, supernova blasts, or blue giant stars like Rigel in the constellation Orion. Our Milky Way will have lost its identity long ago through merging with the Andromeda galaxy, M31. The resulting giant elliptical galaxy will be devoid of dust and gas. The night sky will be a largely homogeneous sprinkling of stars. Stellar density will concentrate toward the galactic core. There will be no bright arch of the Milky Way to obscure the view all the way into the core. But as long as there are stars, there will be planets, and the possibility of intelligent life to gaze curiously upon the sky. Ironically, astronomers living in that far future will have a cosmic view as simplistic as it was before giant telescopes discovered external galaxies, which in turn revealed the expansion of space. All far-future astronomy will be exclusively about characterizing stars, as it was in the 1800s. A distant scientific civilization will have no clues about the birth and evolution of the universe. That is unless some grand “galactic archive” was set up to store information for far future generations. It would be the mother of all time capsules. Imagine very distant descendants trying to interpret the Hubble Ultra Deep Field — a snapshot of the universe in its heyday just a few billion years after creation. By the year 1 trillion, the accelerating universe will have infinitely stretched the light from all external galaxies — assuming dark energy truly is Einstein’s cosmological constant and not an unstable field that winds up destroying the universe. 100 billion galaxies will have winked out of sight long ago due to the ballooning of spacetime. The plethora of white dwarfs, black holes, and neutron stars will be evidence that stellar evolution is a one-way street. Their existence will show that the universe cannot be eternal. This idea was embodied in the steady state theory that competed with alternative the big bang theory, until the cosmic microwave background was discovered in the 1960s. However, the glow of the cosmic background from the Big Bang will be so weak as to be undetectable. There will be little evidence a Big Bang ever happened. However a far-future Einstein may hypothesize such an event based on the nucleosynthesis of elements in red dwarf stars. The density of matter in space will be very dilute due to the dominance of dark energy, and difficult to measure. Future astronomers will conclude that matter must have been more tightly packed very long ago for stars to form through gravitational collapse. Stellar ages and especially those of cooling white dwarfs will allow future astronomers to calculate when something happened in the universe to make so many stars at once. But they won’t have a clue that our galaxy actually combined with another separate star city to trigger the explosion of star birth. In a recent paper, Harvard University theorist Avi Loeb says that so-called hypervelocity stars will give the 1 trillion year astronomers a grasp at rudimentary cosmology. Roughly every 100,000 years, a binary-star system wanders too close to the black hole at our galaxy’s center and gets ripped apart. While one star falls into the black hole, the other star is flung out of the galaxy, in a classic demonstration of Newton’s law of action-reaction. In 2009, the Hubble Space Telescope pinpointed one such hypervelocity star leaving the Milky Way.Even far into the future our galaxy will occasionally eject a star from the core, like a baseball player hitting a home run out of the stadium. That runaway missile could yield transformational clues as big as the Copernican revolution. Diligent astronomers will pick up the runaway star and be curious as to how far it’s going into the inky black of the extragalactic abyss. They will be shocked to see the star speed up the farther it got from our galaxy. This would be due to the effect of dark energy, which continues stretching space apart. To their amazement, they would even see it disappear over an “event horizon” where information traveling at the speed of light can no longer be received because of the rapid expansion of space. “These hypervelocity stars will allow residents to learn about the cosmic expansion and reconstruct the past,” writes Loeb. The most eerie aspect of this prediction is that any civilization on a planet orbiting the runaway star will see our galaxy become smaller, redder and dimmer as it recedes from view and then vanish. Just imagine the cosmic loneliness: a pitch-black sky with only the glow of the parent star and neighboring planets, but absolutely nothing else. It makes me want to go out and buy a telescope to relish the richly exciting Stelliferous Era we live in today. But do we live at a special time in the universe’s history? No, that would be anti-Copernican. The reality is that all times are special in the universe — even 1 trillion years from now.